Fourty-seven readers love this post. DrinkWire is Liquor.com's showcase for the best articles, recipe and reviews from the web's top writers and bloggers. In this post, Kimberly from Jetsetera offers her recipe for warming up in cold weather. These past couple of months meant lots of cold weather and lots of snow. 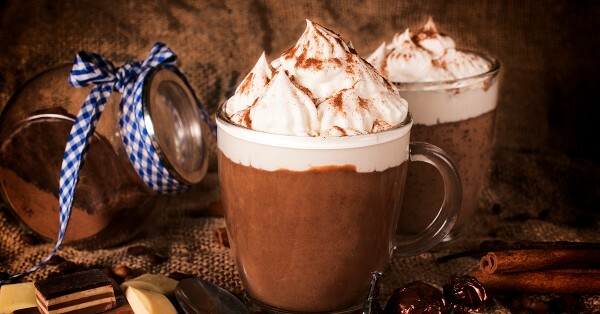 Curled up on the couch watching Netflix, something warm, decadent and chocolatey was called for: Cognac Hot Chocolate. On their own, both key ingredients are perfect for the winter months. Together, they're a match made in heaven. Method: Add Cognac, chocolate and vanilla. Stir. Top with whipped cream, nutmeg and chocolate shavings.